The ark is the focus of synagogue worship. 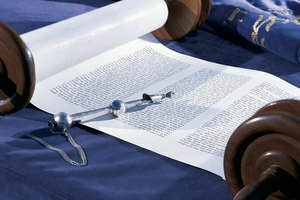 Every Jewish synagogue contains an ark, which is a cabinet containing the scrolls of the Torah (the five books of Moses). The ark is the holiest place in the synagogue, both because it contains the sacred writings of Judaism and because it represents the original ark of the Jewish people. 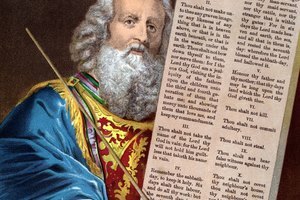 Jews believe that the original ark was created to hold the stone tablets (containing the Ten Commandments) that God gave Moses at Mount Sinai. The term "ark" is a combination of two Hebrew words, "aron kodesh," which means holy cabinet. It is a key part of a Jewish synagogue. The ark is a cabinet that contains the Torah: the scroll of sacred writings. 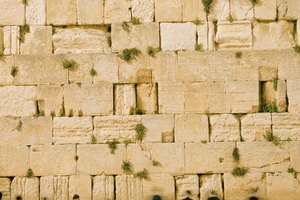 The ark is located at one wall of the synagogue, normally the wall pointing in the direction of Jerusalem. The cabinet has doors and also interior curtains. As part of the preparation for reading the Torah, the doors are opened and the curtains parted. While the readings and prayers are taking place, the people face the ark. 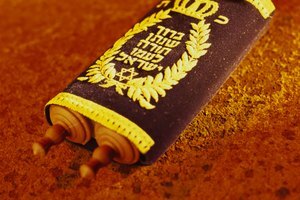 The ark is holy, because it houses scrolls containing the five books of Moses (known as the Torah). Those same five books are included within the Old Testament of the Christian Bible. The ark is also holy because of what it represents, the original ark built to house the stone tablets given to Moses by God on Mount Sinai. According to Jewish tradition (and the Bible), that ark was ultimately carried by the Jewish people to Jerusalem and installed in the temple built by Solomon. That original ark, known as the Holy of Holies, was the focus of all worship within Judaism. 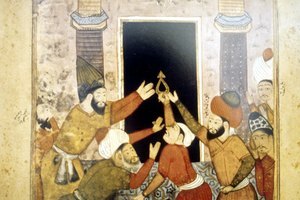 Because the ark is holy, every action connected with it is full of ceremony. It is considered an honor to be the congregation member who climbs the stairs approaching the ark, opens its doors and parts the inner curtains so that the scroll may be removed. The ark is normally kept closed. It is open only for certain prayers and when the Torah scrolls are being read. Synagogue "Ark" vs. Noah's "Ark"
It is important to emphasize that the synagogue ark has no connection to Noah's ark (the ship built by Noah to save people and animals from the biblical flood). However, there is a connection between the synagogue ark and the famous film "Raiders of the Lost Ark." In that movie, Indiana Jones tries to find the original ark to prevent it from falling into the hands of evil people. P., John. "Synagogue's Ark Meaning for the Jewish People." 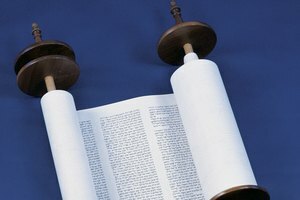 Synonym, https://classroom.synonym.com/synagogues-ark-meaning-jewish-people-5234.html. Accessed 18 April 2019.